This is the second in the blog post series, looking at how power distribution systems are becoming more intelligent and connected. These innovations are needed to take full advantage of the trends in energy decarbonization, decentralization, and digitization. And with the demand for electricity continuing to grow, these capabilities will be needed to more effectively control efficiency and meet sustainability goals, without sacrificing business productivity. In this post, we’ll look at how power distribution networks have embraced trends in digitization. Power and energy monitoring has become an accepted best practice in buildings. Major building associations like CABA point out that achieving the maximum gains in energy efficiency requires a continuous program of monitoring, control, and action. It takes an intelligent power distribution system to deliver the data necessary, and the first step is digitization. Navigant Research notes that in the intelligent buildings market, the Internet of Things (IoT) is a key to delivering actionable information and meaningful opportunities. This includes opportunities to improve energy efficiency, but also for optimizing power reliability and maintenance. Smart devices are at the core of smart power distribution. They give facility and maintenance personnel visibility into the electrical network by measuring and collecting data, as well as providing control functions. Devices can include digital power meters, power quality monitors, and meters for tracking consumption of utilities such as water, compressed air, gas, electricity, or steam (WAGES). Intelligence can also be found integrated with other kinds of equipment, like the smart trip units inside circuit breakers. These typically meter power and energy data, as well as tracking breaker status, contact wear, alerts, and alarms. Beyond protection functions, many devices are also capable of autonomous control. Over the years, smart power devices have increased in computational power, accuracy, integration, and communication capabilities. 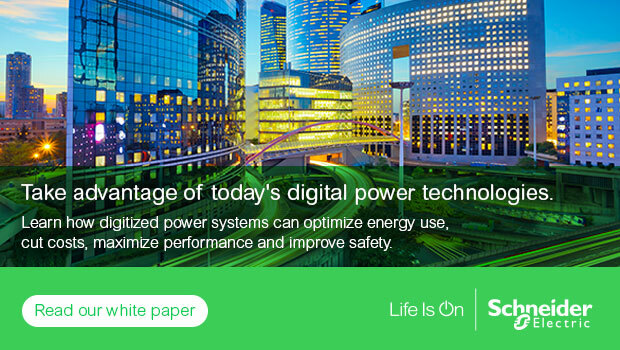 This has enabled a new era of IoT in power distribution systems and smart buildings. Now, key points and assets throughout your facility’s power network – from the main utility incomer and feeders, to HVAC, boilers, refrigeration, and lighting circuits, down to plug loads – can be monitored and controlled. The type of device can be chosen based on its location and function, e.g. advanced monitors for critical feeders, simpler meters at the load level. Sub-metering at the load level is critical to revealing energy waste. Such a discovery can indicate equipment that needs to be serviced or adjusted, or simply that something should be turned off when not needed. Operations and maintenance teams need to respond to risks as quickly as possible to avoid the possibility of facility downtime or damage to equipment. Intelligent devices deliver the data and alarm notifications they need to stay on top of conditions, as well as remote control capabilities to help them act faster when a potential problem arises. In addition, monitoring environmental conditions can help predict operating performance and, in turn, better optimize maintenance schedules and extend the lifespan of the power distribution equipment. Most meters, circuit breakers, and integrated smart panels are now designed for compactness and compatibility. Systems can be tailored for the needs of each facility and are scalable to adapt to future expansion. Schneider Electric is a leader in intelligent power distribution, offering some of the most advanced devices available, including the PowerLogic range of meters, the Easergy range of protection relays and feeder automation devices, and the MasterpactTM MTZ and Compact smart breaker families. In the next post in this series, we’ll look at how power network connectivity enables real-time vision and control. How much will be the increase in cost when we add intelligence to dumb power distributors? How will convince the consume to buy, what are the benefits?